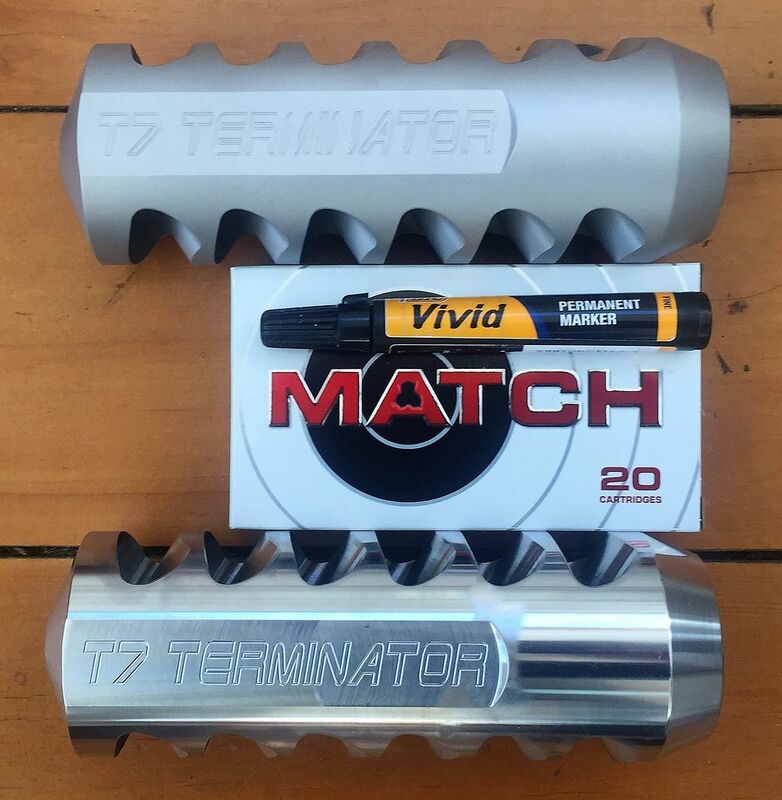 These showed up today from my latest run of the T7 Terminator Muzzle Brake. Pretty big brake to be fair, 50mm at the muzzle end, 62mm diameter, 180 mm long & weighs 1695 grams. veitnamcam, 300MAG, ebf and 7 others like this. one day ill have an artillery piece, how big can you build one? Beaker, Gibo and Shearer like this. What thread pitch do they come into? not very at the moment Im probably not serious.... Will see how the thing recoils once its all finished. How much are we talking for a one off to suit 40mm?